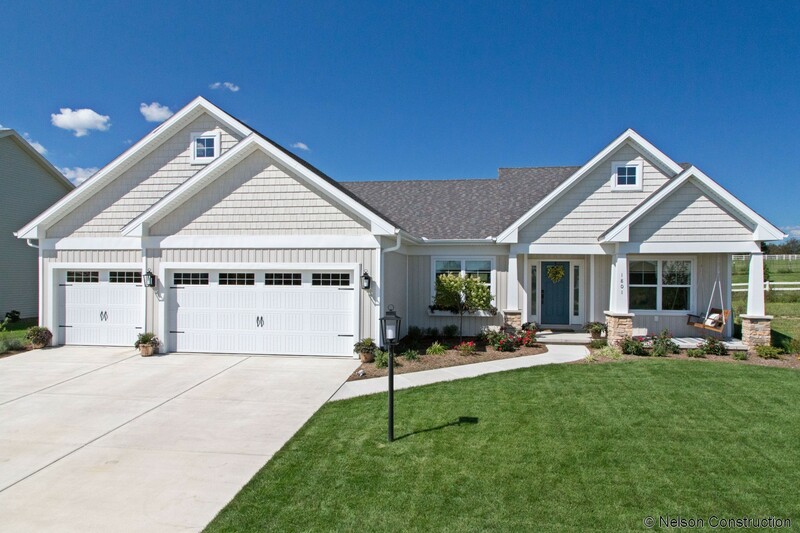 The exterior of this Sycamore home has a classic look with the shake siding accented by vertical siding in the gables. 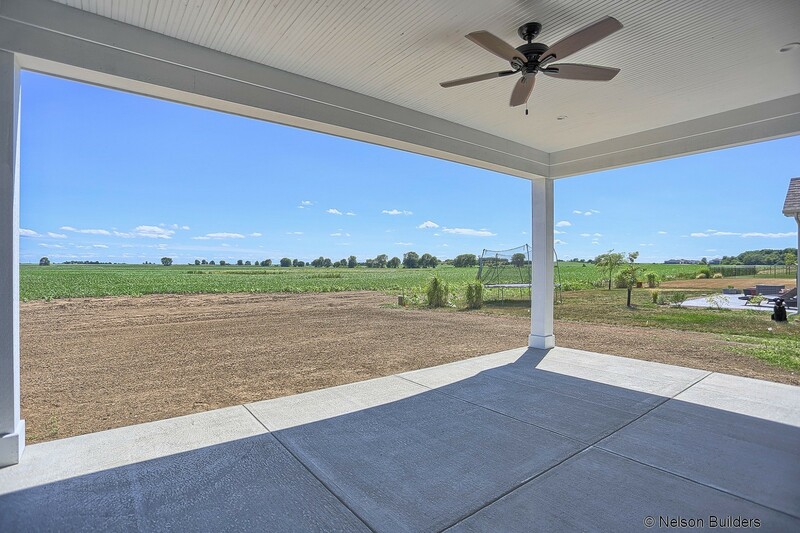 The view from the front door of a new Sycamore home in Whisper Meadow. 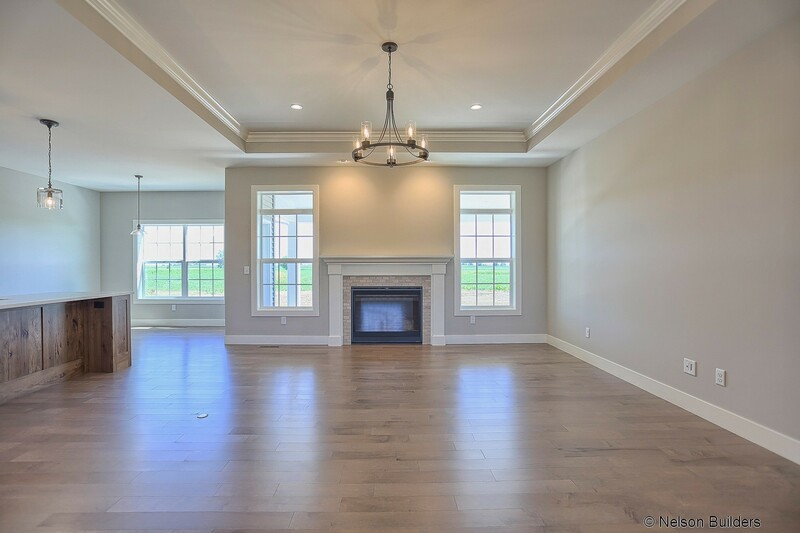 The family room of the Sycamore plan is accented with a raised tray ceiling with crown moulding. 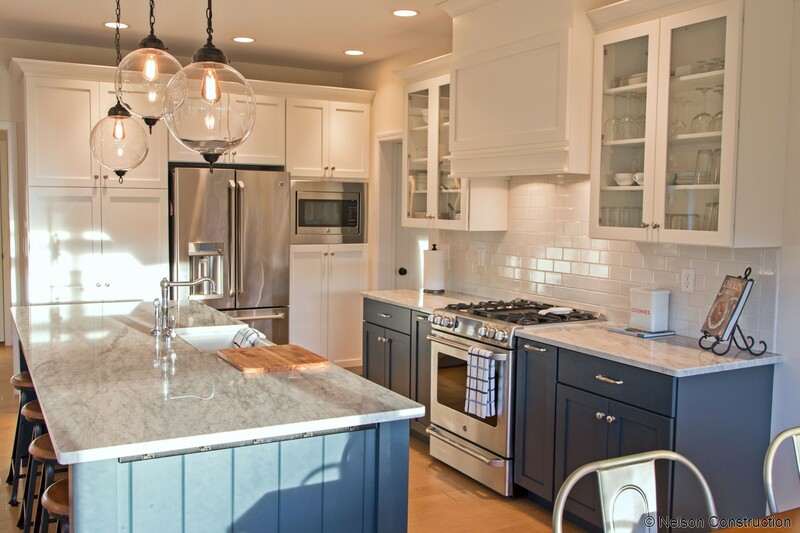 The white painted cabinets of this new Sycamore home are contrasted with the leathered black granite. 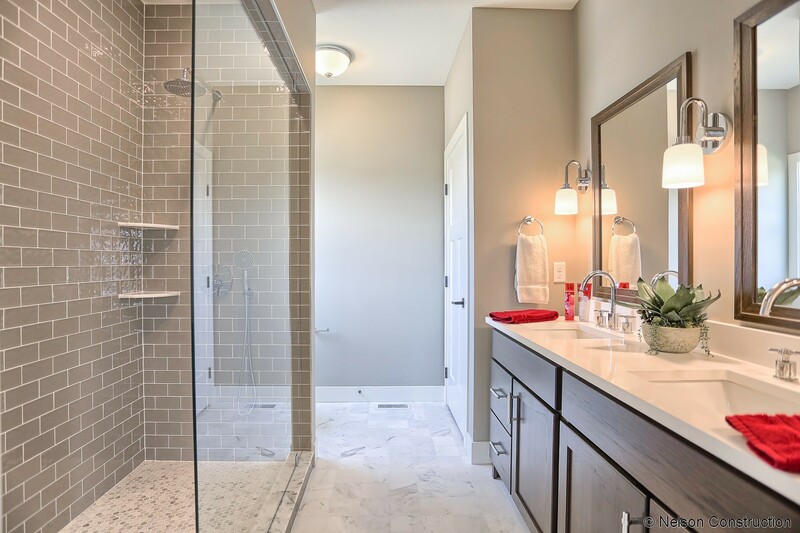 The beautiful master shower in this new Sycamore plan by Nelson Builders is highlighted with gray glass tile and a marble floor. 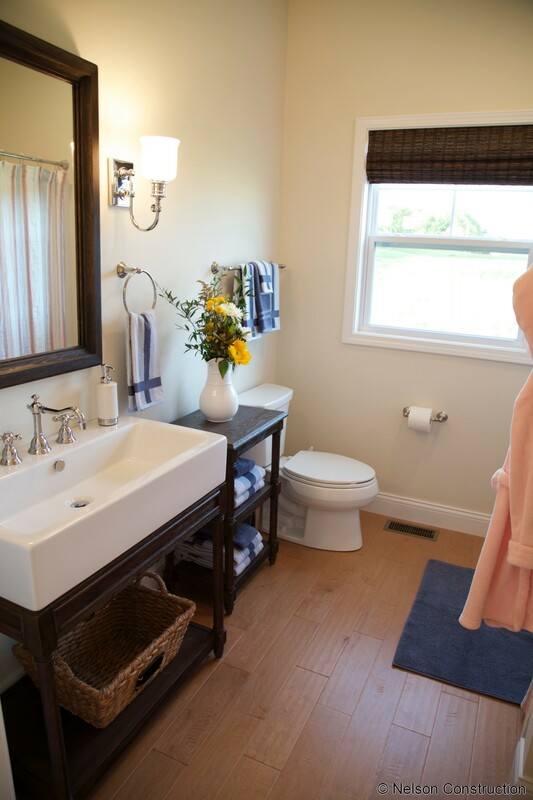 This Sycamore plan features light colors and textures for a beautiful cottage look. 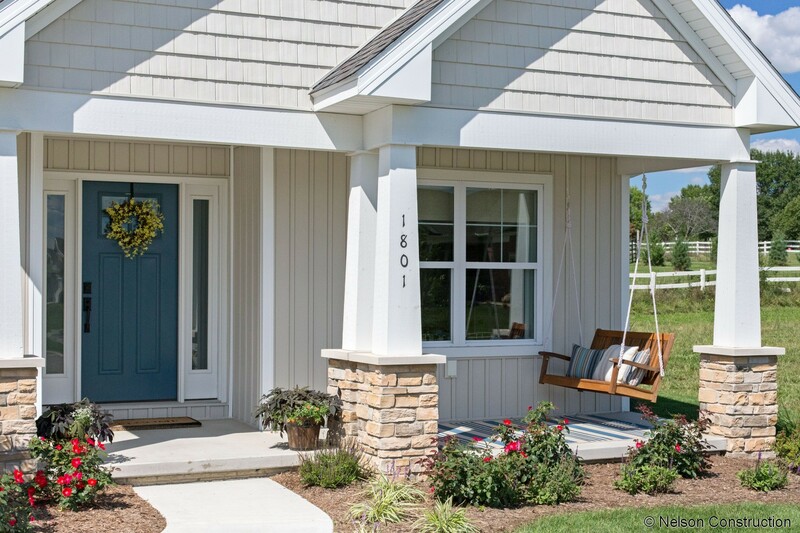 The front porch of this Sycamore home is warm and inviting with a porch swing to complete the space. 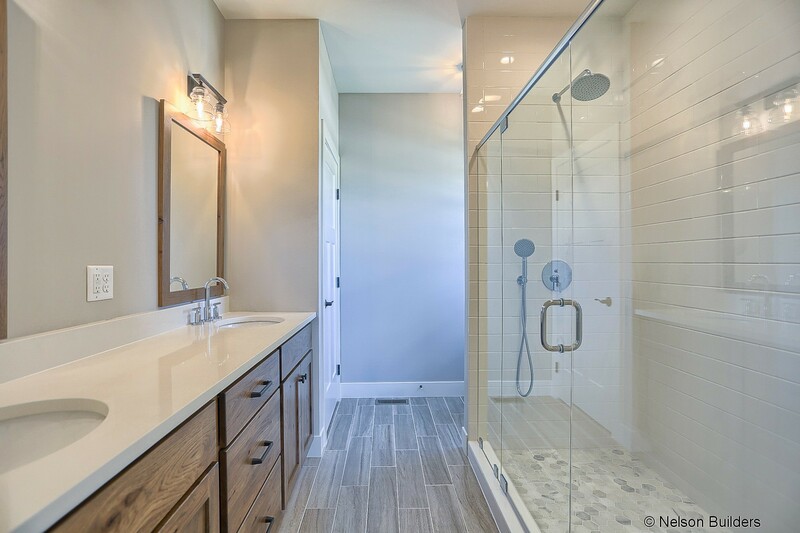 This Sycamore plan has a luxurious second bathroom finished with high end fixtures including a freestanding Restoration Hardware vanity. 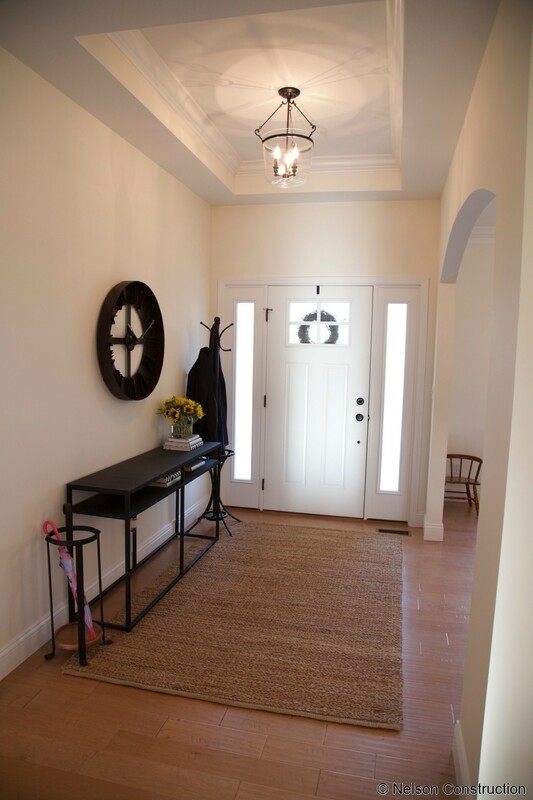 The crown moulding and raised tray ceiling add elegance to the foyer of this Sycamore home. 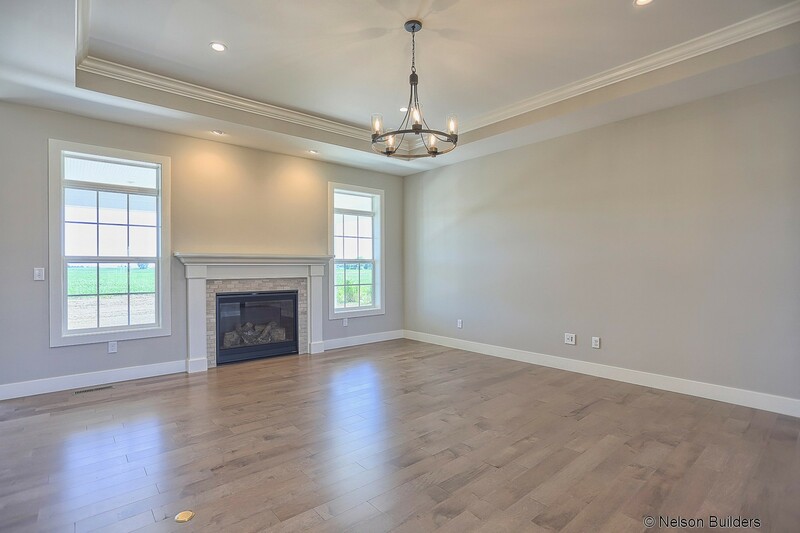 The great room of this beautifully decorated Sycamore home opens to the kitchen and dining room, making a warm, inviting space for entertaining. 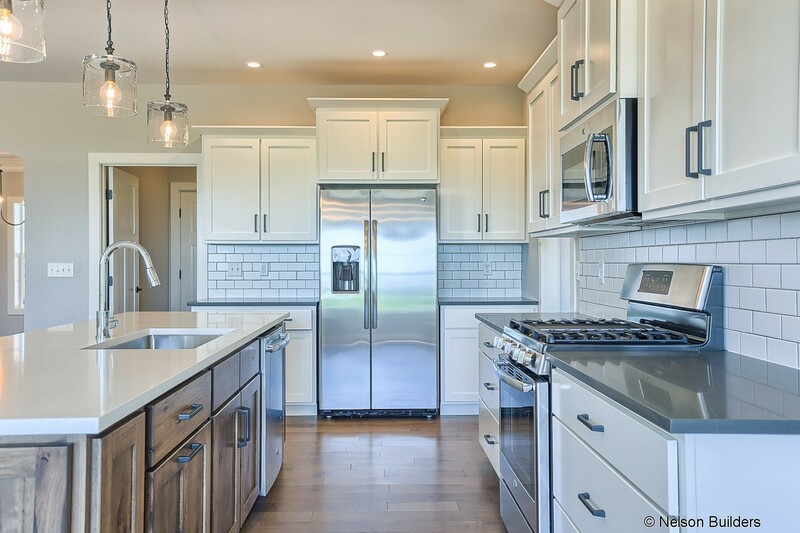 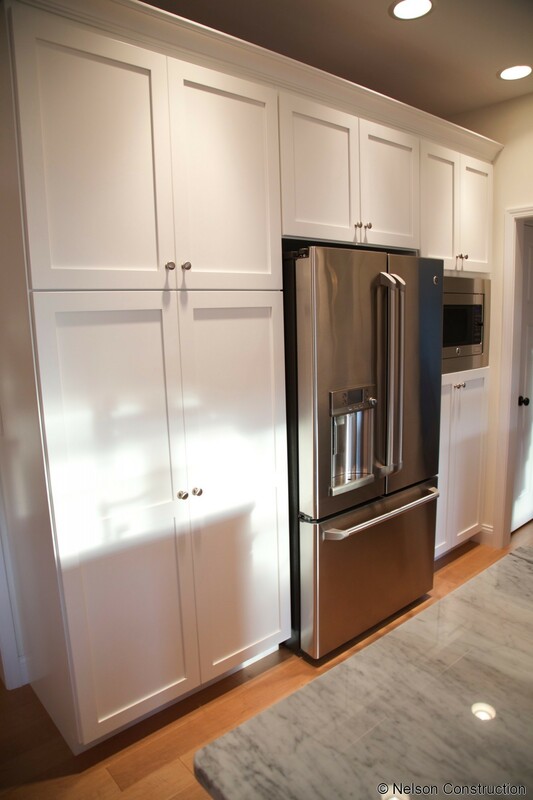 The beautiful Amish-made kitchen of this Sycamore has plenty of storage with its wall of built in pantry cabinets. 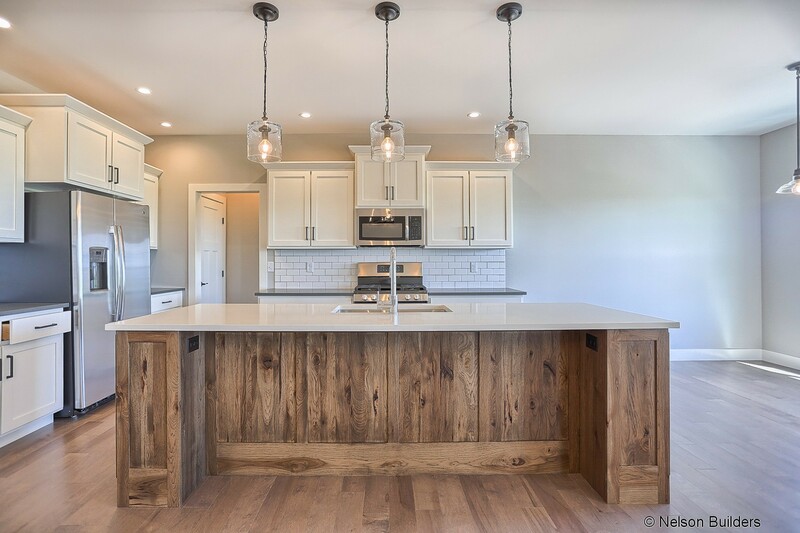 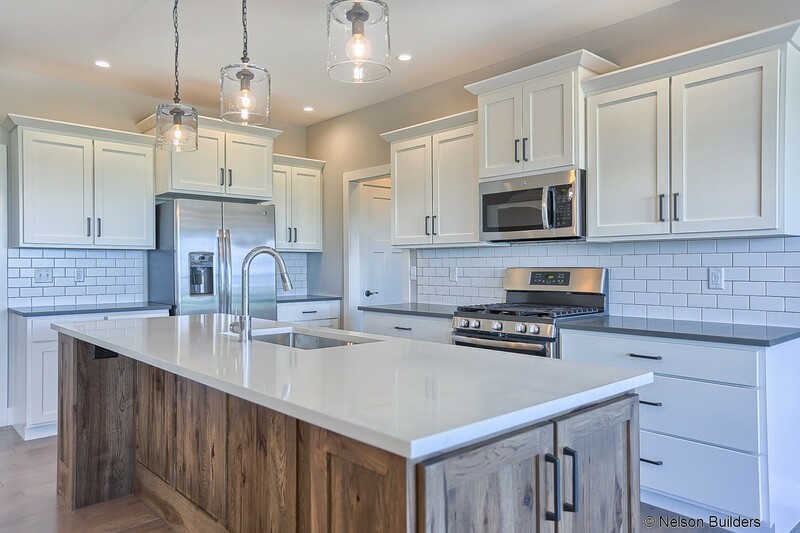 The beautiful Amish-made kitchen of this Sycamore is highlighted with a farmhouse sink featured on the contrasting island. 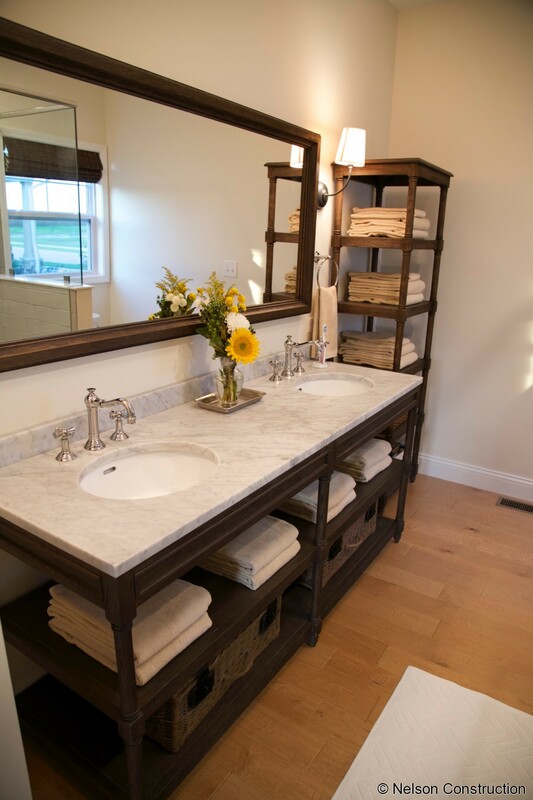 The master bath in this custom home is wonderfully finished with Restoration Hardware vanities and shelving. 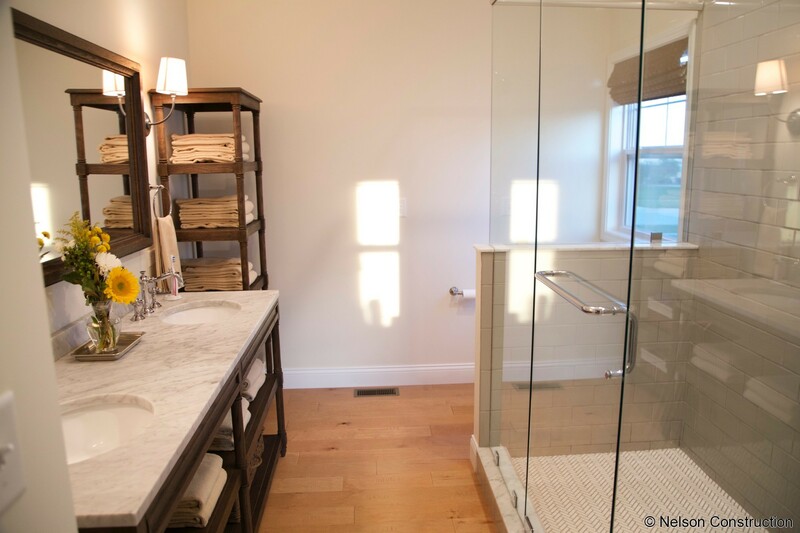 The Restoration Hardware vanities and glass shower are showered in natural light in this custom Sycamore home. 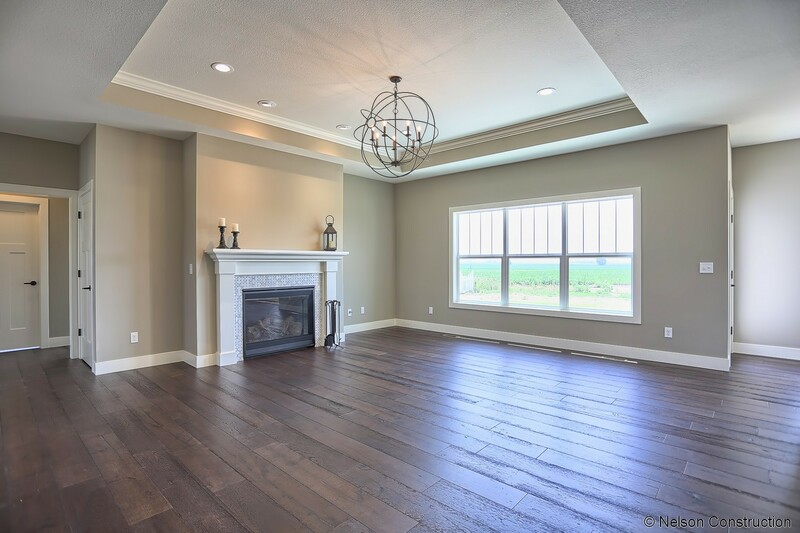 The spacious master bedroom in this Sycamore home has plenty of room for a small sitting area. 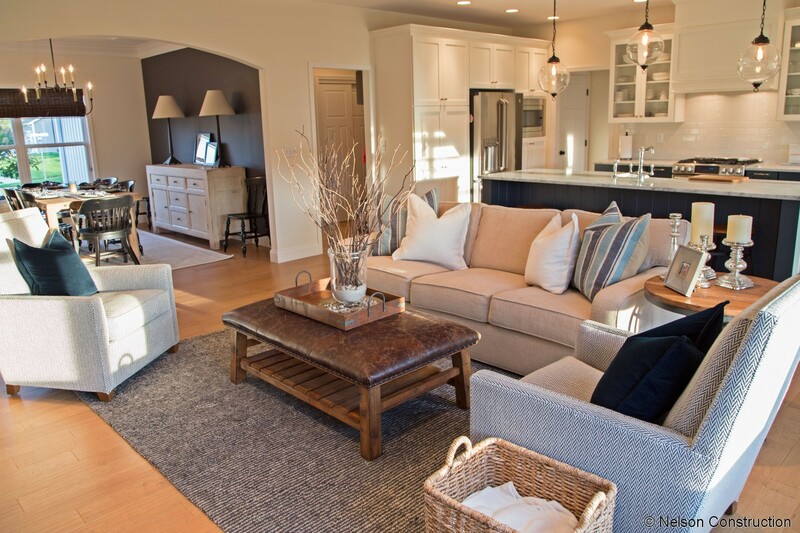 Upon entering the Sycamore, you are greeted by the open and airy floor plan. 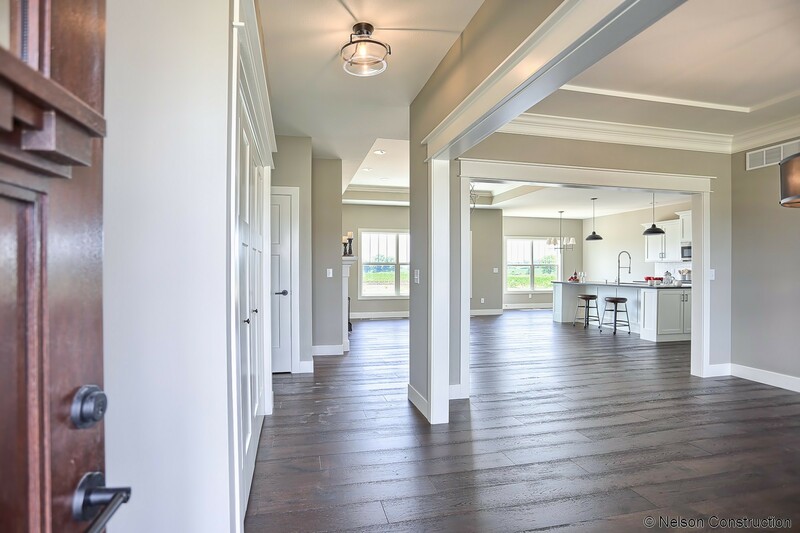 The family room flows into the kitchen and dinette, and also into the dining room and foyer. 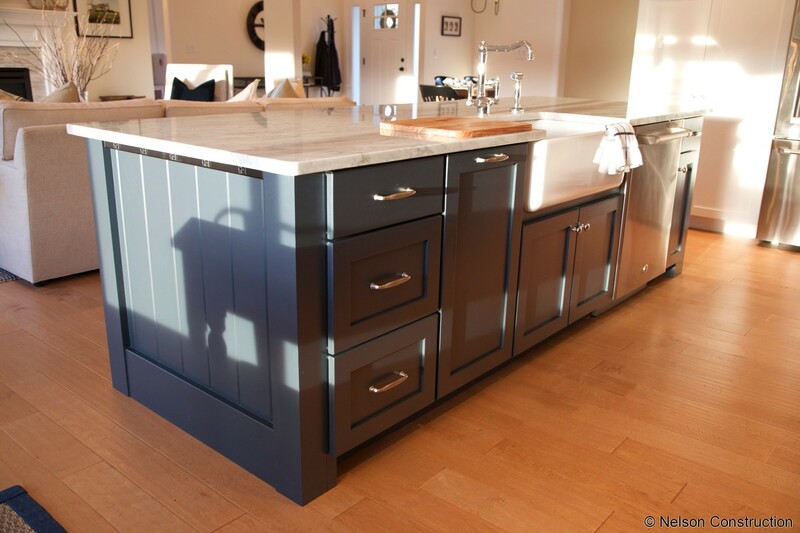 At the center of this space is the chef's dream kitchen with its huge center island. 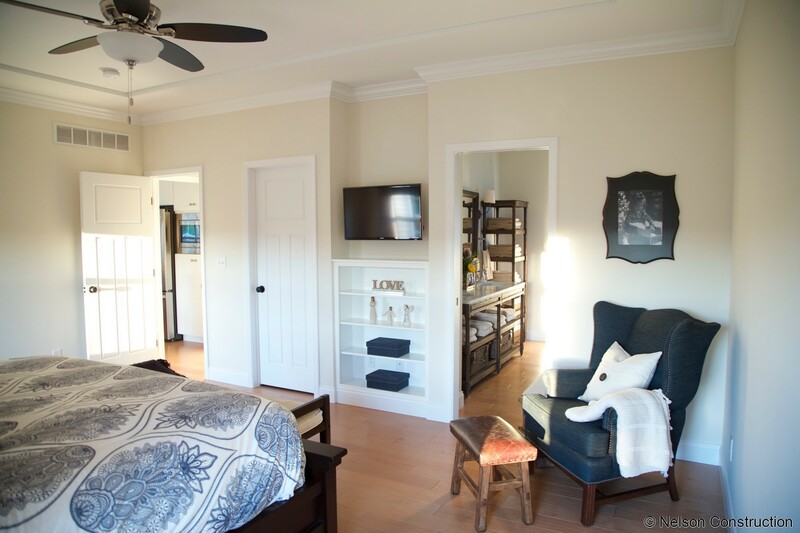 The split bedroom plan allows for privacy in the master bedroom suite on one side of the home while the other bedrooms are located at the other end of the home. 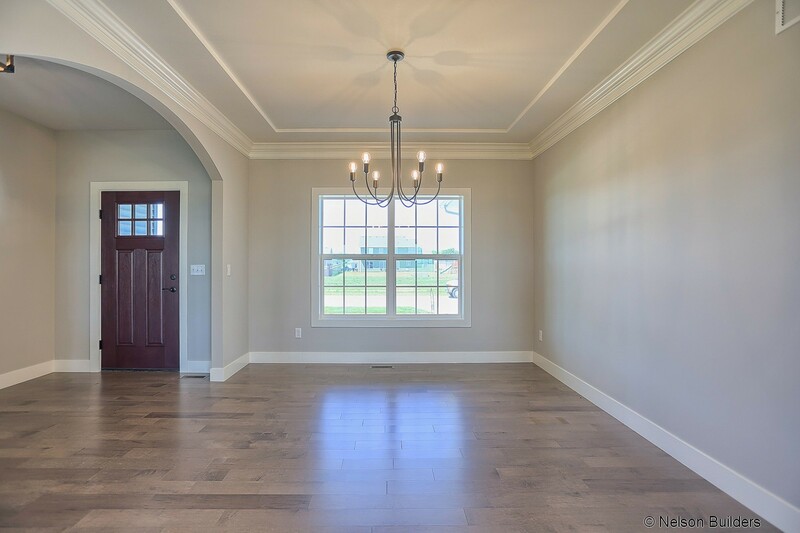 Raised tray ceilings highlight the family room and master bedroom. 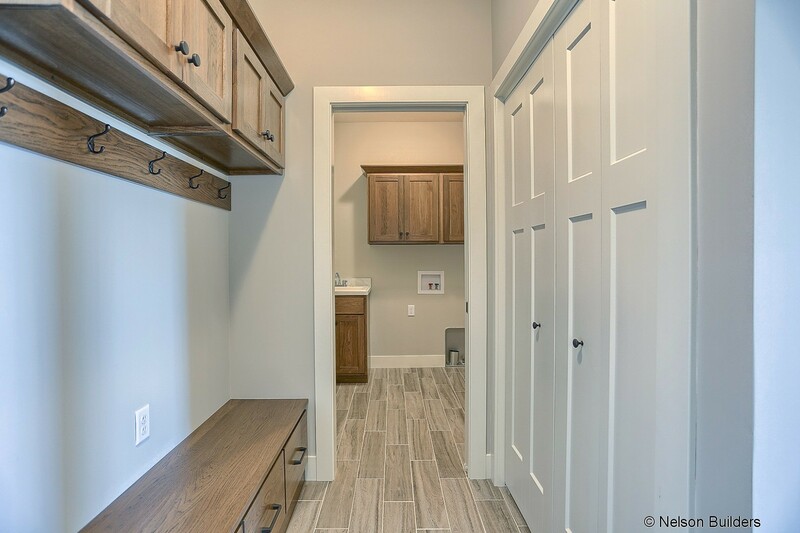 The laundry and mudroom with its cubbies are conveniently located between the kitchen and garage. 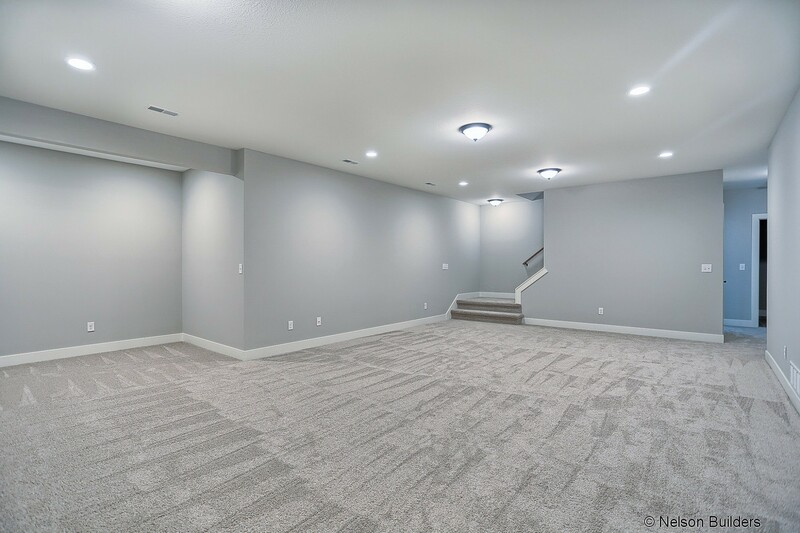 The home is complete with a full unfinished basement with a future bath rough-in and a three-car garage. 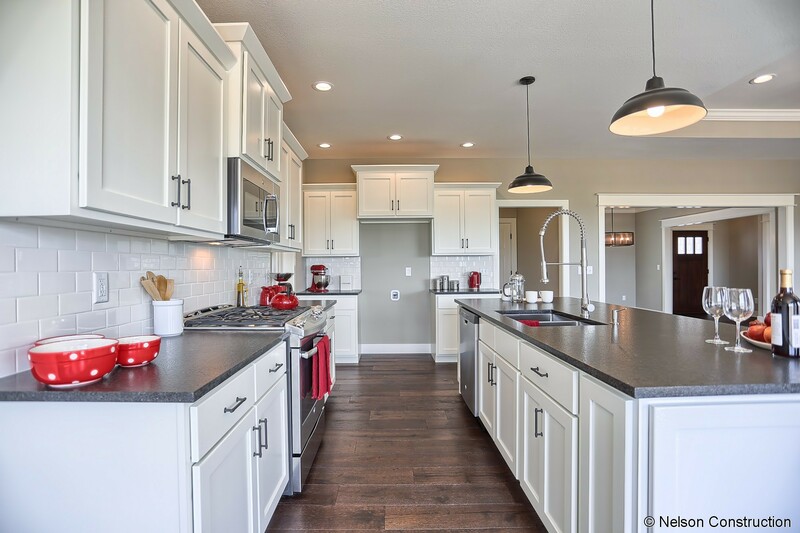 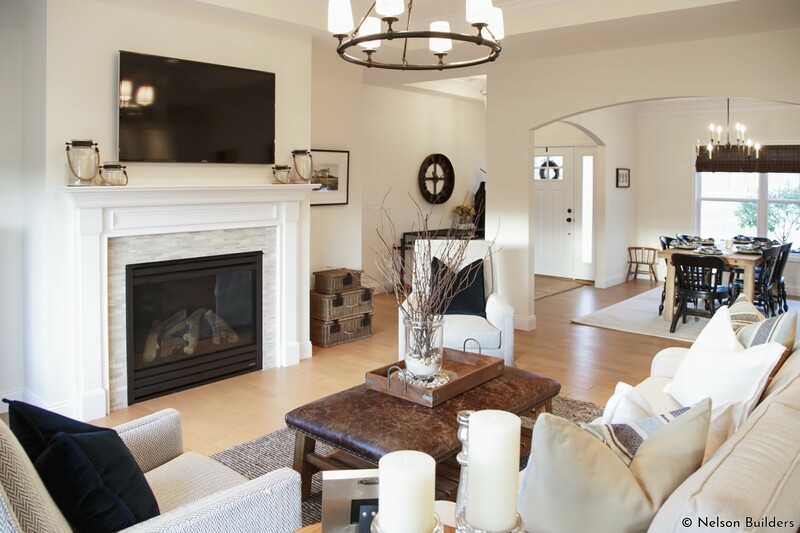 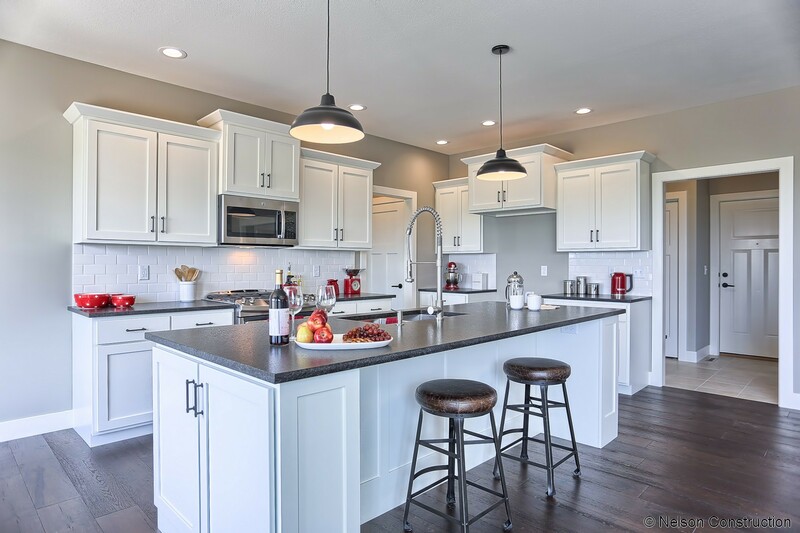 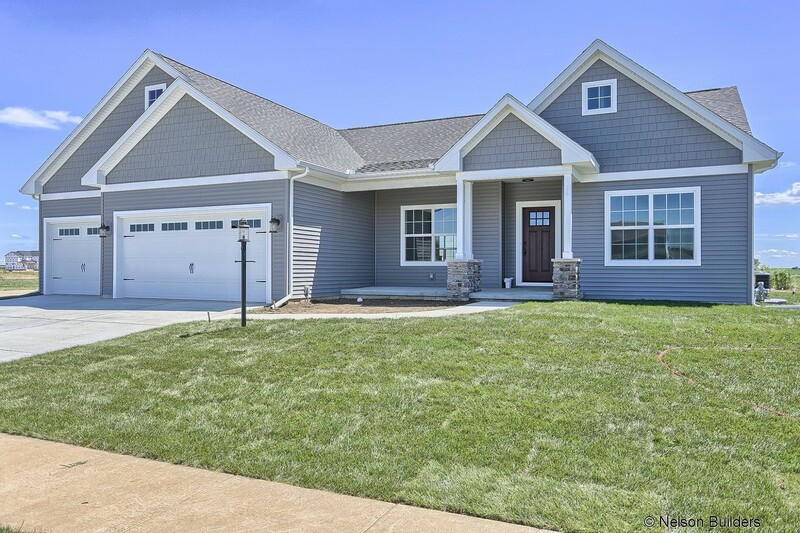 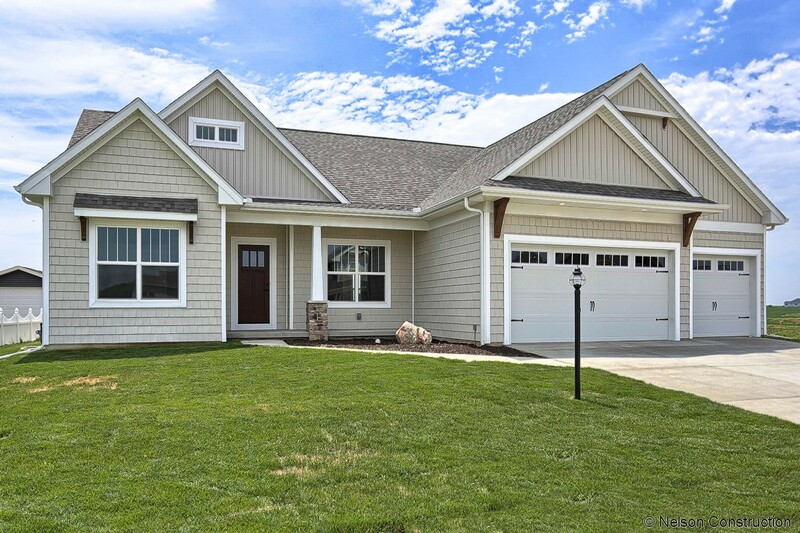 The Sycamore, like all homes built by Nelson Builders, is designed to earn both the ENERGY STAR certification for new home energy efficiency and the EPA Indoor airPLUS certification for air quality, bringing cost savings and comfort to you, the homeowner.